Katekyo Hitman Reborn! 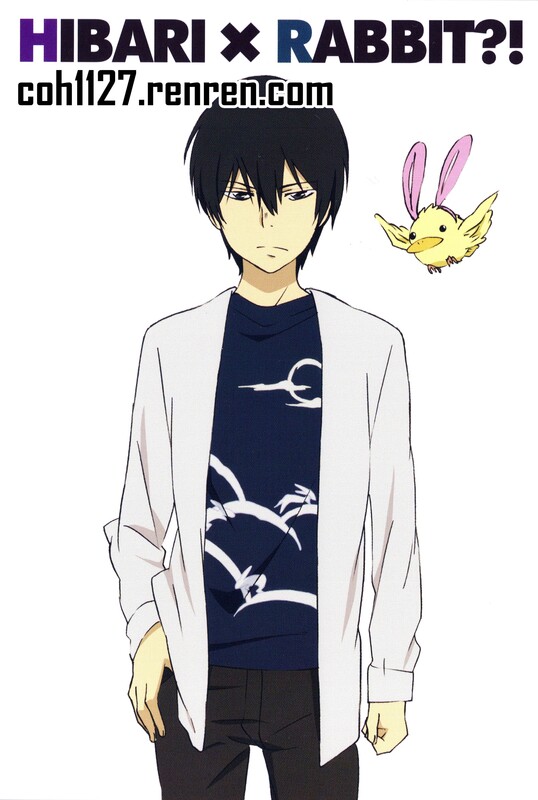 : REBO-T collection 3 postcard "Hibari×rabbit"
Minitokyo »	Katekyo Hitman Reborn! Scans » Katekyo Hitman Reborn! : REBO-T collection 3 postcard "Hibari×rabbit"
I know someone reposted some of my scan to other website. If you don't wanna see more scan from coh1127, just go ahead. PLEASE! PLEASE! PLEASE! DO NOT REPOST MY SCAN TO ANY OTHER WEBSITE!